Blackbird shock for sale, excellent condition - SOLD! HondaCB1.org Message Forums > Classifieds > For Sale > Blackbird shock for sale, excellent condition - SOLD! EDIT: shoclk has been sold. Hey guys, I have replaced the CBR1100XX Blackbird shock on my CB-1 with a new shock from Hagon sprung and valved specifically for my weight. So I have the BB shock for sale. It is originally from a low mileage bike and works fine, it's just that it seemed too firm for my light (145#) weight and ride preference. I made a custom offset top bushing for it to approximate the OEM shock length. 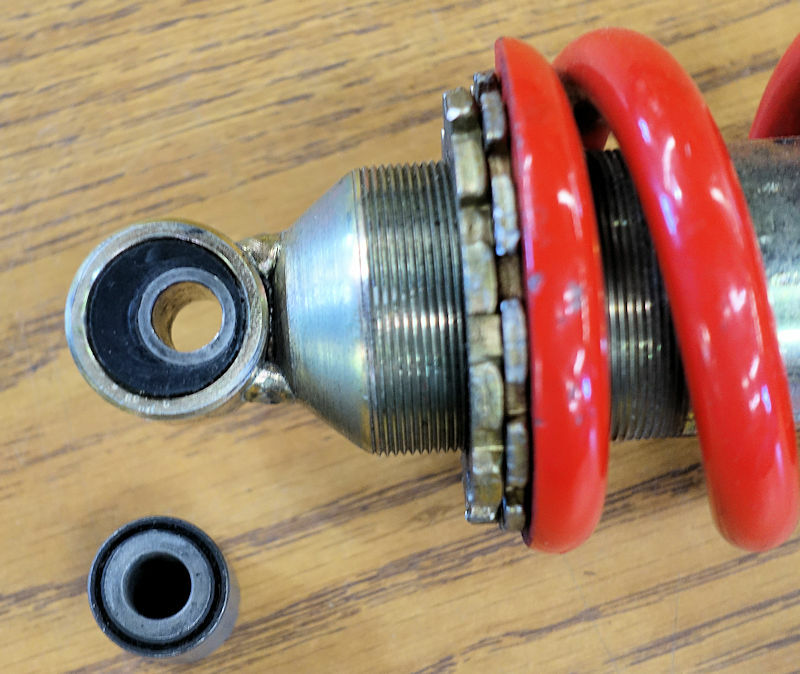 I will also include the original bushing with the shock. I also have a '95 CBR600F3 side stand which is longer than the OEM in case the shock is to be used with the original top bushing which raises the bike too high to use the stock CB-1 side stand. 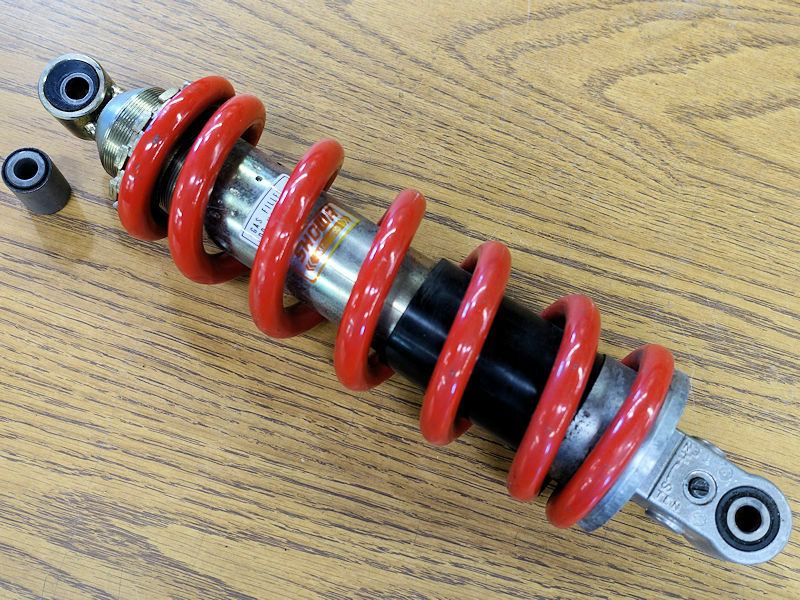 I paid $55 for the shock and will sell it for that same price plus shipping, and will throw in the side stand if desired. If anyone is interested let me know your address and I can compute shipping cost. Re: Blackbird shock for sale, excellent condition - SOLD!